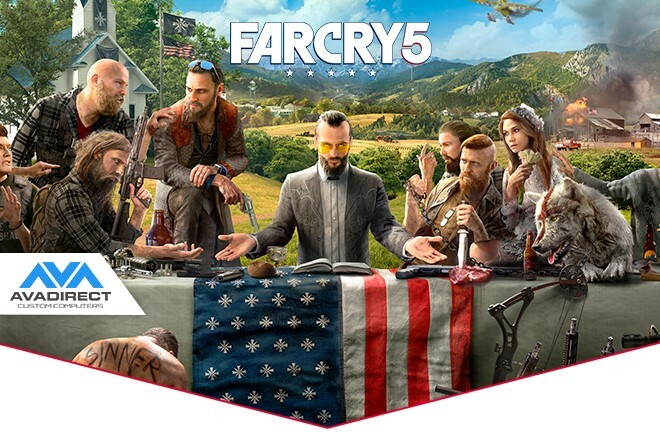 Home › Get Far Cry 5 FREE with select AMD Radeon powered PCs! Buy an eligible computer with an AMD Radeon™ RX Vega or AMD Radeon™ RX 580 graphics cards and get Far Cry 5 FREE*! Take back the American heartland in the latest installment of the award-winning franchise. Plan your attack against the biggest Far Cry® enemy ever with select AMD Radeon™ RX Series graphics cards. Crank up every detail at extreme resolutions, high framerates, maximum settings, and cutting edge features that will carry you into the future. The stakes have never been higher.